"Mechlinia dominium et Aerschot ducatus". Copper-engraving after M. F. Langren map of the region. Orig. old colouring. 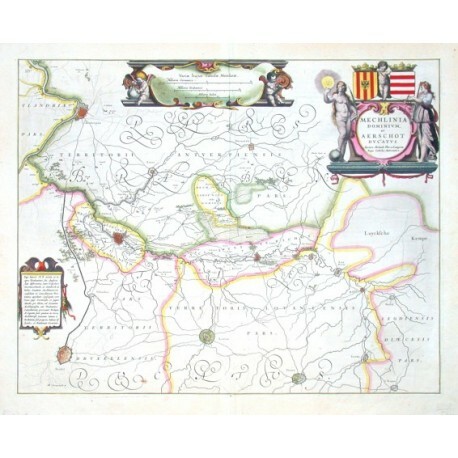 Published by J. Blaeu, ca. 1640. With 3 coloured figure and heraldical cartouches. 41,5:52 cm (16 1/4 x 20 1/2 inch.). 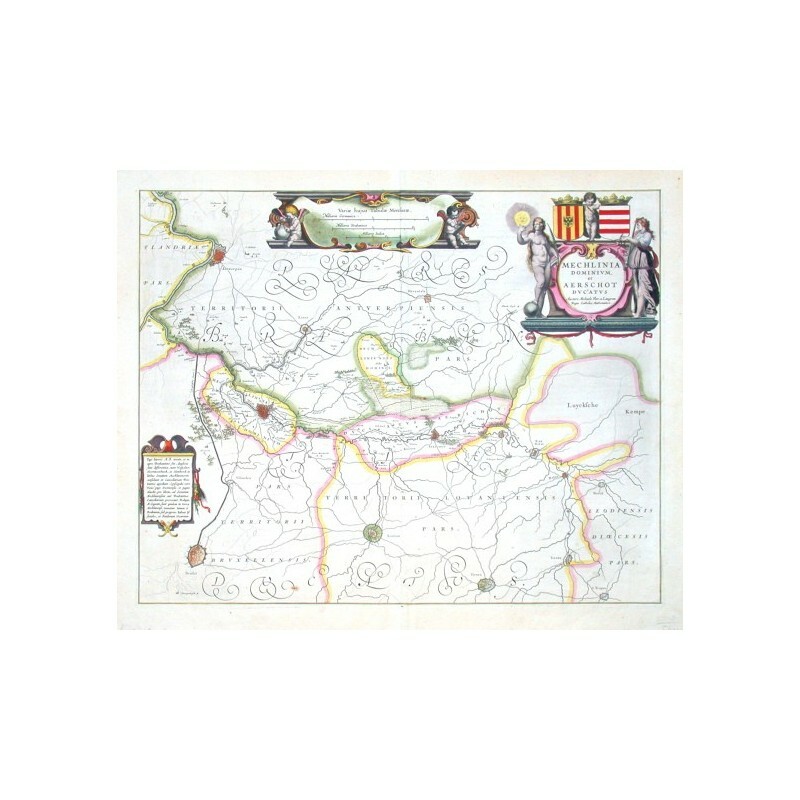 Koeman II, map 3160:2 (Mechelen and Aarschot), ed. 2:201 (1640-43 Latin).